To take the property tax deduction, you must itemize. 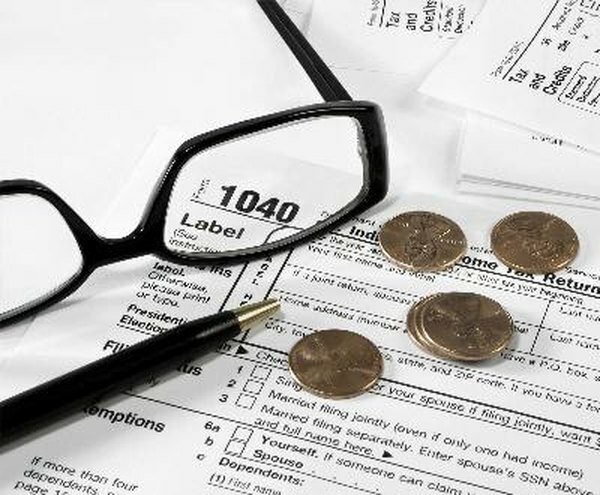 Homeowners can deduct the property taxes they pay from their federal taxable income. But it isn't just homeowners. In fact, anyone who owns real estate and pays property taxes on it -- whether it's a primary residence, a second home or just a plot of empty land -- can deduct the taxes. To do so, however, you must itemize your tax deductions. The deduction covers property taxes paid to local, state and foreign governments. To be deductible, a property tax must be based on the value of the property, and the tax must be applied uniformly to all property in the taxing agency's jurisdiction. Special property tax assessments for improvements such as sidewalks, road paving or sewers usually aren't deductible. That's because they typically aren't based on property value and are imposed only on properties that stand to benefit from the improvements. Also, some jurisdictions add fees to each property owner's tax bill, such as for garbage collection or 911 service. These fees aren't deductible. Many homeowners don't pay their property taxes directly. Instead, they pay a portion of their annual tax liability as part of their monthly mortgage payment. Their mortgage company collects the money, sets it aside in an escrow account and then pays the property tax bill when due. If your taxes are handled this way, you can deduct only the amount that the mortgage company paid to the taxing agency during the year, not the amount you put into the escrow account, which may be more or less than the taxes paid. Home sales add a wrinkle to the property tax deduction. For the purposes of the deduction, the Internal Revenue Service considers the seller to have paid the taxes up to the day before the official sale date. The buyer is considered to have paid the taxes from the sale date onward. This is the case regardless of whether one side agrees to pay some of the other's taxes. Say the taxes on a home are $2,500 a year, and the home was sold on March 15 -- the 74th day of a non-leap year. For the deduction, the seller is assumed to have paid 73 days' worth of taxes that year -- up through March 14. The buyer, meanwhile, gets credit for 292 days. So the seller can deduct 73/365 of $2,500 -- or $500. The buyer can deduct 292/365 or $2,500 -- or $2,000. To take the property tax deduction, file your taxes using Form 1040, the long-form return, and itemize your deductions using Schedule A. Property taxes go on Line 6 of Schedule A, in the section labeled "Taxes You Paid." Note that the IRS refers to property taxes as "real estate taxes." They're the same thing.